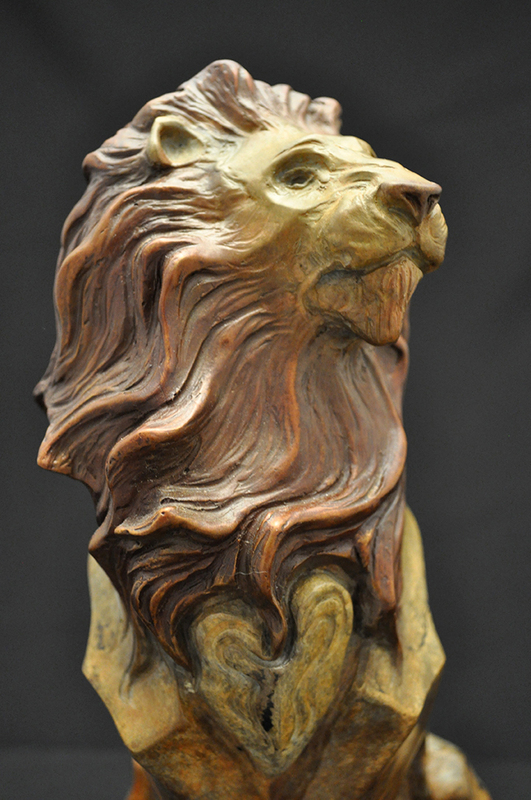 Originally created for one of my best collectors, this lion was intended for an organization that helps to free children from slavery in other countries. 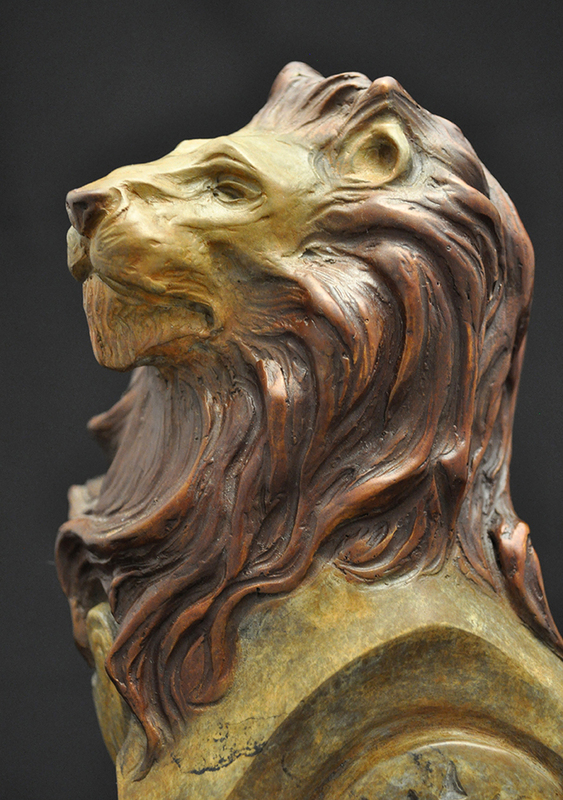 On the chest you will see the heart of the lion, his mane blowing in the winds of the Serengeti, the polished sun on his side. This is the first sculpture in which I mixed realism with stylized modern shapes of the body.